An American UFC fighter, Hall of Fame member and actor, Randy Couture is one the most notable names in the Mixed Martial Arts that you'll hear. Randy “The Natural” Couture proved himself to be an awesome fighter to watch. Born on June 22, 1963 in Lynnwood, Washington, Randy Couture served in the military for six years after graduating from high school. During his time in the army, he took up some boxing lessons to relieve himself of the boring army drills. However, Randy Couture did not receive any boxing match. Randy Couture made his UFC debut in 1997. He fought in the heavyweight class, defeating Tony Halme and Steven Graham. But after acquiring two consecutive losses, he moved to the light-heavyweight division. In his first light-heavyweight match, Randy Couture defeated Chuck Lidell via knock out, and snatched the light heavyweight title. Randy Couture is the only fighter that was able to take out two championship titles in the history of UFC. More over, he is the only fighter to win a championship after becoming a Hall of Fame member. Being one of UFC’s Hall of Fame members, Randy Couture is distinct with his clinch and ground-and-pound fighting techniques. He uses his wrestling abilities to execute takedowns and establish top position. Then, Randy Couture will rattle his opponent with strikes while lying on the mat. In addition to that, Randy Couture can also submit opponents using three various chokehold by displaying his skills in Boxing and Brazilian Jiu Jitsu. With so much achievements under his belt, it is no brainer that Randy Couture is the oldest title older ever in the history of MMA. 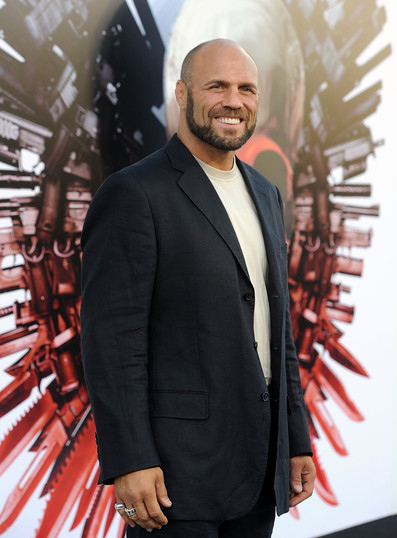 But more than an MMA fighter, Randy Couture is also an actor. After being part of The Expendables, the UFC Hall of Fame member is contemplating on stepping out of the Octagon and pursuing his acting career. Regardless, fans will still see him in the big screen for The Expendables 2.